Keep in touch with what's new on mfiles. Jim's Blog has the latest music news. Follow us on Twitter or Facebook to be notified of news and new content on mfiles, or Subscribe to mfiles feed (Beta). The pianist Lang Lang's YouTube channel shows some of his recent recording projects. The video at the right shows recording sessions for the game soundtrack Gran Turismo 5. The soundtrack album has music by Liszt, Chopin, Joplin, Holst, Bach and Prokofiev and is available at Amazon.com and Amazon.co.uk. Another project in the run up to Christmas was to record film composer Ilan Eshkeri's music for a Sony Christmas advert starring Derek Jacobi. Here is some behind the scenes footage about making the advert on youtube. Berklee College of Music have a long tradition of embracing all forms of music. They now offer a variety of online courses, so students can be based thousands of miles from the college in Boston. Their latest online course is called "Music Composition for Film and TV" which starts with their winter term on January 10th 2011 for a duration of 12 weeks. The course includes access to many famous but hard-to-find film scores from composers such as John Williams, Aaron Zigman, Alan Silvestri, Marco Beltrami, James Newton Howard, Pinar Toprak, James Horner, Jerry Goldsmith, and Alf Clausen who composed a piece specifically for the course! The course author is experienced film and TV composer Ben Newhouse, and more details can be found on the course page at BerkleeMusic.com. Here's Christopher Tin's "Baba Yetu" music from Civilisation IV at Video Games Live. The game video in the background can be seen here on the composer's official youtube channel. The song is the Lord's Prayer in Swahili, the title "Baba Yetu" translating as "Our Father". "Babu Yetu" is also the first track in his new album "Calling All Dawns" and both the album and the song have been nominated for Grammy Awards. Currently the album is unavailable on Amazon.co.uk and temporarily out of stock on Amazon.com. Christopher Tin's website is at www.christophertin.com. 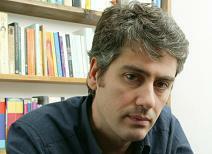 BAFTA and PRS for Music present "An Evening with Dario Marianelli". The event will take place at the Princess Anne Theatre in London at 18:30 on Wednesday 15th December. Dario Marielli is best known for his scores to Pride and Prejudice, Atonement and "The Soloist" for director Joe Wright, though he has worked with Terry Gilliam (The Brothers Grimm), The Wachowski Brothers (V for Vendetta), Michael Winterbottom (In This World), Alejandro Amenábar (Agora) and Neil Jordan (The Brave One). For this event, the composer will take to the stage along with fellow composer and teacher Miguel Mera. Extracts from his work will be used as examples in an exploration of his creative process. Tickets are available via this link at the BAFTA website. Since Antonio Vivaldi died 270 years ago, you would think that we would know as much about his music as we are likely to know. However in two separate incidents just weeks apart, new music by Vivaldi has been found in the UK. 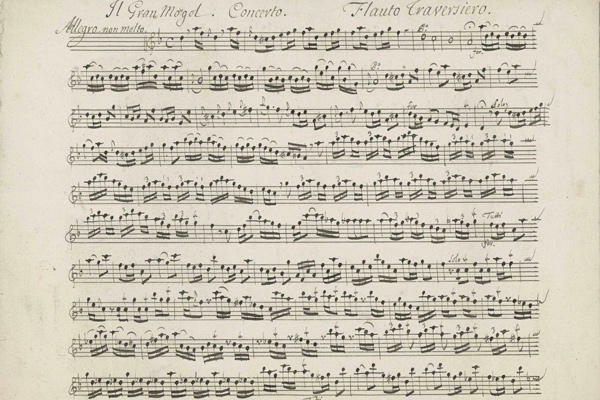 Firstly, a researcher uncovered a Vivaldi score which turned out to be the only known copy of a Flute Concerto called "Il Gran Mogol" (The Great Mogul). The second incident was the discovery of 2 previously unknown Vivaldi violin sonatas. To celebrate we have released 3 versions of "Autumn" from "The Four Seasons": the original score & parts, and arrangements for Violin & Piano and Piano Solo. There's an opportunity coming up for you to own a piece of film music memorabilia. A charity auction of music items will be held at Bonhams in London on 15th December. This has been organised by the PRS and film composer Stephen Warbeck has gifted a hand-written score sheet from his award-winning score for the movie "Shakespeare in Love". The sheet is signed by the composer and comes from the track "The Beginning of the Partnership". Lot 369 can be viewed on the Bonham's website and the estimated price is in the range of £350 to £550. In 2004 the Coen Brothers remade "The Alamo" and this year they tackle another John Wayne classic: "True Grit". The movie's music is by their regular composer Carter Burwell, and the film is released on 22nd Dec in the US and 14th Jan in the UK. Here's the movie trailer. Meanwhile I composed the music for a hand-held game to tie-in with the movie. 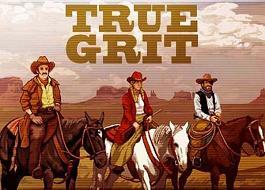 "True Grit" the game has scenes set in the desert, in snow and in town, plus a number of mini-game scenarios. The game music is in MIDI format to be compatible with most devices, and here converted to MP3 format is a True grit medley (16Mb) of music from the game. More music by Jim Paterson can be found on his Portfolio page. Govan was once famous for its shipbuilding industry, situated on the Clyde within the City of Glasgow on the River Clyde. 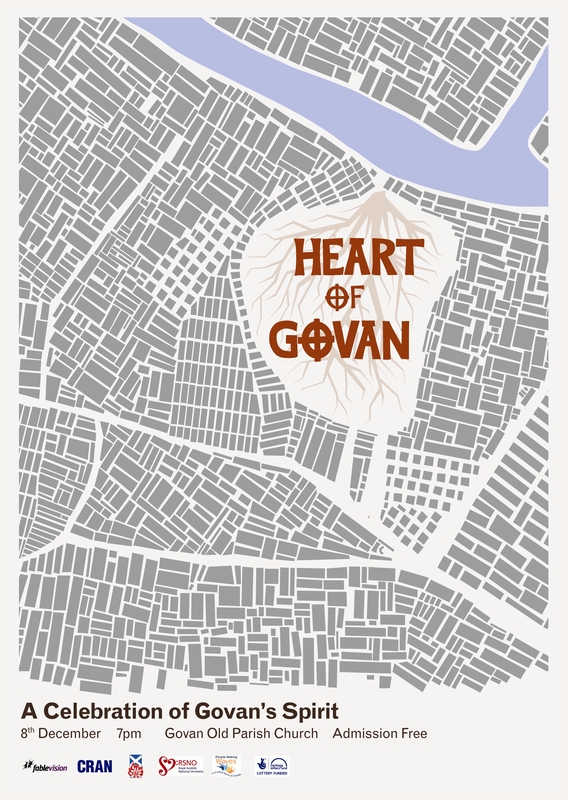 Now Govan celebrates its heritage and embraces the Arts with a free Concert called "The Heart of Govan", a Celebration of the Spirit of Govan. The concert will be held in Govan Old Parish Church at 7pm on Tuesday 25th January, and will feature a number of players from one of Scotland's leading orchestras, the Royal Scottish National Orchestra. Watch this space for further details. NOTE: Date changed from December due to weather conditions. 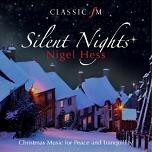 Just in time for Christmas, composer Nigel Hess is releasing a Christmas album called "Silent Nights" on the Classic FM label. Classic FM the magazine commissioned a poll among its readers of their favourite Christmas Carols, and Hess was commissioned to arrange the winning carols for piano and strings. The album is released on 29th November at Amazon.co.uk, and on 7th December at Amazon.com. The CD can be pre-ordered from both sites. Included among the top 15 carols in the poll were "O Come All Ye Faithful", "Hark The Herald Angels Sing", "Silent Night", "O Little Town Of Bethlehem", "It Came Upon The Midnight Clear", "God Rest Ye Merry Gentlemen", "Away In A Manger", and "Once In Royal David's City". Here's a great animation by Eleanor Stewart set to music by Aaron Copland. Copland wrote his ballet "Rodeo" following the success of his previous "Billy the Kid", and the exuberant music used in the animation is the "Hoedown" which is also included in the Rodeo Orchestral Suite of music taken from the ballet. The cowboy themes have clearly inspired the animator in depicting scenes from the Wild West, using a stop-motion technique. We assume that no conductor's scores were harmed during the making of the film! Leonard Bernstein died 20 years ago, and Sony Classical have released "Leonard Bernstein - The Symphony Edition" to celebrate his work as a conductor. 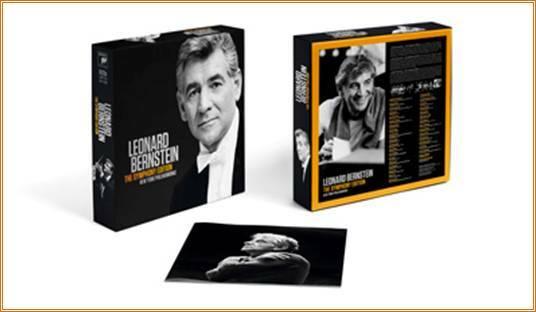 Bernstein made many recordings with The New York Philharmonic Orchestra, and this 60-CD set has complete symphonies by Beethoven, Brahms, Mahler and Sibelius, and many by Shostakovich, Mozart, Mendelssohn, Schumann, Haydn and Schubert. An American touch comes from music by William Schuman, Aaron Copland, Roy Harris, Charles Ives and Bernstein's own 3 symphonies - Jeremiah, The Age of Anxiety and Kaddish. The CD set can be found on Amazon.com in the US from 22nd November and Amazon.co.uk in the UK from 6th December. "Chico and Rita" is a collaboration between director Fernando Trueba (Belle Epoque) and Spain's most successful designer Javier Mariscal. The story starts in Cuba, where Chico (a young piano player) and Rita (a gifted singer) chase their dreams of success. The animation features music by jazz legends Thelonious Monk, Cole Porter, Dizzy Gillespie and Freddy Cole (brother of Nat King Cole), with some of these characters appearing on-screen in animated form. The original soundtrack is by equally legendary Cuban bandleader Bebo Valdés. See www.chicoandrita.co.uk. You wait ages for a good classical music programme on TV, then 2 appear in the same week! On Friday BBC4 broadcast "Elgar: The Man Behind the Mask". The mask implying the Edwardian gentleman whose music was about "pomp and circumstance", but beneath this mask lay a complex personality. Elgar hid his humble origins (the son of a shopkeeper), and the film uncovers the secret passions of his personal life. See the programme at this link on BBC iPlayer. Meanwhile on "Sky Arts 2" (if you have Sky), Howard Goodall kicked off his new series "Music Room: Howard Goodall With..." interviewing the cellist Julian Lloyd Webber. This series will run for 15 episodes with pianist Lang Lang and violinist Nicola Benedetti lined up for episodes 2 and 3. All episodes include performances or excerpts - for more details check the programme on Sky Arts Listings. Reggie Watts is a musician and comedian based in Seattle. His shows combine traditional stand-up and live improvised music. He records and loops beat-box material to create backing tracks, before adding vocal and rap layers. Music technology is constantly evolving and Watts' act has adapted to use new improved electronic devices. In this YouTube video he creates a track live using an iPhone with an app called "Everyday Looper" available from Mancing Dolecules. Next week the city of Nottingham will be hosting GameCity 5, a large videogame festival running from 26th-30th October. One of the events is will showcase the work of acclaimed game composer James Hannigan, in a concert to be held in the 14th Century St Mary's Church. The concert is on Thursday 28th at 19:30 and will be conducted by Allan Wilson and feature the Pinewood Singers. 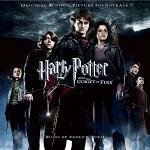 The Event will premiere extracts from Hannigan's latest game score "Harry Potter and the Deathly Hallows: Part 1" (the film is scored by Alexandre Desplat). An on-stage conversation between Hannigan and Audio Consultant John Broomhall will include live demonstrations of how his work is created. James Hannigan has composed other games in the Harry Potter series, "Reign of Fire", plus "Command & Conquer" and "Football Manager" titles. Michel Legrand had worked on many French films, including the musical "The Umbrellas of Cherbourg", before scoring one of his most well-known films "The Thomas Crown Affair" in 1968, starring Steve McQueen and Faye Dunaway. This featured his song "The Windmills of your Mind", which was wisely retained when the film was remade 30 years with a score by Bill Conti. One of the most memorable scenes in the original film is a seductive chess game between the two main stars. In this youtube video hear how Legrand scores this scene with free-form jazz. Click here to see the full-size image. Click here to visit the RSNO website. The latest issue of New Scientist Magazine lists a number of ways in which you can boost your brainpower, according to the latest experimental evidence. These methods include changes in diet, exercise, meditation, exposure to light, transcranial Direct Current Stimulation (best not to try this one at home) and musical training from a young age. Among the benefits of musical training are improvements in memory, language skills and motor skills. My own exerperience as a pianist confirms one aspect of improvement in motor skills. In the years I spent working in an office environment, I found I typed quicker than my colleagues, using all my fingers and looking less often at the keyboard. It seems obvious that a keyboard is a keyboard regardless of the layout and purpose. They are the mysterious group who manage The Oscars, but "The Academy" (Academy of Motion Picture Arts and Sciences or AMPAS for short) also organise other events. Last Friday they put together a special evening called "Centennial Salute to Alex North" to celebrate 100 years since the birth of celebrated composer Alex North. North was the first composer to be awarded a Lifetime Achievement Oscar in 1986 (and since then one other composer Ennio Morricone won a similar award in 2006). The Alex North event was hosted by film music historian Jon Burlingame and included clips from a number of North's films and a full screening of John Huston's "The Misfits". This film not only featured a terrific score by North, but was also the final screen performances of Clark Gable and Marilyn Monroe. More about this event with photos can be found on this feature by the Film Music Society. Conrad Pope also returns to the film series as Orchestrator. Pope has worked on many films with both John Williams and Alexandre Desplat, and has a wealth of experience in the Harry Potter sound. Pope's official website is at ConradPopeMusic.com. You may know Bobby McFerrin as a singer, or have seen him do his act as a one-man orchestral beatbox. We recently saw the singer perform on the excellent documentary film Bach and Friends. Here he is in an interesting video where he demonstrates his observation that with only minimal prompting, any audience anywhere in the world, will quickly latch on to a set of notes called the pentatonic scale. The Pentatonic scale is just a scale with 5 notes which is common in the folk music of a number of countries. It has been used for example by the composer Dvorak. Among a number of fund-raising activities to raise funds to support the many people affected by the floods in Pakistan, there was a live fund-raising event called "Live 4 Pakistan". You can donate directly to a number of charities (such as UNICEF and OXFAM) supporting the relief effort on the Live 4 Pakistan website. The live event was supported by many celebrity contributors, and here is the contribution by composer Mark Isham playing trumpet with himself and some percussion with the help of a bank of computers. See "The Door in the Cupboard" on Saturday 4th September at 7:30pm. The concert is in the CCA Glasgow and tickets are only £5 and £3. The Glasgow New Music Expedition will be performing new works by Alexander Horowitz, Christopher Duncan, Brendan Toal, Blair Russell and Richard Greer. To book phone the box office at 0141 332 7521 or contact glasgownewmusicexpedition@hotmail.co.uk for further information. 2010 is Mexico's bicentennial year with the anniversary being celebrated on September 15th. There will be numerous events to celebrate the occasion, but this musical release caught our attention. Mi Alma Mexicana (or "My Mexican Soul") is a double album of music by Mexican composers which has just been released. It features conductor Alondra de la Parra with the Philharmonic Orchestra of the Americas, and the music is colourful and vibrant, showing Mexico's rich heritage of musical influences. The double album is highly recommended and previews and further information can be found at Amazon.co.uk and Amazon.com. Composer David Arnold is a passionate supporter of the charity "Care International". As part of this year's fund raising activity he is organising a fantastic film music concert. The concert will take place in the Royal Albert Hall on Monday 18th October, and features an amazing line-up of film composers. Composers so far confirmed include David Arnold, Craig Armstrong, Harry Gregson-Williams, Anne Dudley, John Powell, Patrick Doyle, Dario Marianelli, Rachel Portman, George Fenton, John Ottman, Christopher Gunning and Michael Nyman. Jimmy Carr will also be there - tickets and more details at www.ConcertforCare.com. The eagerly awaited sequel to "Tron" is due for release this Christmas. The original film used ground-breaking effects in 1982, and "Tron Legacy" (see official site) aims to maintain that reputation with 3D graphics surpassing Avatar in complexity. The music of the original "Tron" was created by one of the world's great synth composers Wendy Carlos, but this time around the music will be created by the French electronics duo "Daft Punk". The duo started work on the music during the film's early development, have worked closely throughout production and even have cameos as "MP3s". The last Doctor Who Prom Concert was in 2008, and two years later the show has completely changed. 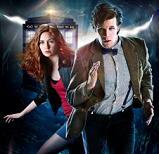 There's a new Doctor, new companions, a new writer and new production staff. Back in 2008 David Tennant appeared on screen with a mini-episode, but the new doctor Matt Smith will be host the show with Garen Gillan who plays Amy Pond. Murray Gold is still the show's composer but the music has changed to match the new team, so expect a lot of new Doctor Who music! As before there will be some classical music including John Adams' "Ride in a Fast Machine", Mars from Holst's "Planets Suite", "O Fortuna" from Orff's "Carmina Burana" and Wagner's "Ride of the Valkyries". It's an excellent ways to introduce young fans to music and orchestras along with spectacle and monsters. The shows are on 24th/25th July but sold out hours after they went on sale. Fortunately you can catch the show on audio on BBC Radio 3 on Saturday 24th at 7:30pm with video highlights shown on BBC 3 on September 6th. Use iPlayer if you missed these or wait for the show to be included on a future DVD. Many congratulations to Andy Ralls on landing the role of Musical Director for the new UK Tour of Glee, the hit show based on the popular TV Series. In addition to his work on a variety of UK musical productions, Andy has created sheet music for mfiles in the form of classical transcriptions and arrangements. See his website at www.AndyRalls.com. The game "Machinarium" has won recognition for its visuals - something resembling a gritty version of "Wall-E" or "9". The music for this Czech production was created by Tomas Dvorak, and it is an electronic ambient sound with industrial and cute robotic noises layered with acoustic instruments. It is very different from the average game soundtrack, but its lightness and subtlety perfectly complement the graphics and gameplay to create a unique sound world. To hear for yourself, download the Free Bonus EP. The composer's website is at floex.cz where there is a link to the full soundtrack. The game website with free demo is at machinarium.com. The record label Varese Sarabande is planning to issue a limited-edition bumper pack dedicated to Alex North's score for "Spartacus". The package includes 6 CDs, a DVD and a 168-page book! This is producer Robert Townson's 1000th release for the label, and he says that disc 1 will contain the full 70 minutes of recorded stereo soundtrack, 2 more discs will contain the full score (that's 2 hours 20 minutes) in mono, a further disc will contain unused and alternate cues from the film, and the final 2 CDs will feature 22 different versions of the Spartacus Love Theme. Some versions date from the 60s such as pianist Bill Evans' jazz version from 1963 but other remixes have been newly arranged and recorded by various composers. The DVD is a 96-minute documentary about North and his music including interviews with John Williams, David Newman, Alexandre Desplat, Mark Isham, Lalo Schifrin, Christopher Young, Mark Isham and Robert Townson talking about North and his place in film music history. The Internet Revolution continues to change the way musicians connect with their fans. Craig Lyons has been promoting his work in the virtual world of Second Life, and in the real world has released this video playing John Lennon's Across the Universe using the imagery of virtual worlds and avatars. A great video and a great version of this song. The Malcolm Arnold Festival has become an annual event in Northampton, and this year the Festival will be launched by the actress Hayley Mills, who was the young star of the film "Whistle Down the Wind" with memorable music by Malcolm Arnold. This year the festival will take place oever the weekend of 16th and 17th October. More information can be found at the Festival Website. Rodrigo y Gabriela are a fantastic pair of instrumentalists whose guitar-playing perfectly complements each other. If you've not come across this act before, check out some videos here on YouTube or on their own website at www.rodgab.com. They will be touring throughout Europe this summer with a number of confirmed dates in the UK including Glastonbury on 27th June and "T in the Park" on July 10th. Their web-site lists other confirmed venues for their live performances. Check out the short animated film on the composer's newly launched website at www.ClintMansell.com with music from "The Fountain". Clint Mansell expects to post more videos in future. Fans of Aphrodite's Child will be pleased to know that two of the group's albums are due to be released on CD for the first time in the UK. Esoteric Recordings will release "It's Five O'Clock" and "End of the World" on June 28th. The prog rock group consisted of Vangelis, singer Demis Roussos, Loukas Sideras on drums and Anargyros Koulouris on guitar, and released three albums (the 3rd being "666" based on the Book of Revelations) before splitting up in the early 70s to pursue solo careers. However the band members occasionally worked together after that, with Demis Roussos contributing vocals on Vangelis' famous soundtrack for Blade Runner. To whet your appetite here is the group's first hit single Rain and Tears based on Pachelbel's Canon. "In Folk Style" is another superb release from 2L this time featuring the Norwegian String Group Trondheim Solistene ("Trondheim Soloists" whose website is at www.trondheimsolistene.no). The unifying theme on the album is the Folk Music of Norway and it starts in familiar territory with Grieg's Holberg Suite and Two Norwegian Melodies. The 2nd half of the album contains contemporary folk music by Emilia Amper and Gjermund Larsen, and it is truly a delight to hear. The folk music is unique and enegetic showing a kinship with the traditional music of other countries in Northern Europe and fits very well alongside Grieg's folk-inspired music. The clarity of the playing and recording is superb as we have come to expect from 2L. Listen to this sample track on YouTube and all tracks can be pre-viewed from the mp3 albums at Amazon.co.uk and Amazon.com. For the best listening experience the Blu-ray version will be released on 29th June and can be pre-ordered at these links: Amazon.co.uk and Amazon.com. Many people will fondly remember the original "Karate Kid" scored by Bill Conti. The remake starring Jackie Chan seems to have a very promising score by James Horner judging by this Suite from the Soundtrack on YouTube. The long-lost score of Julius Röntgen's "Edinburgh Symphony" has been found. The Dutch-German composer Julius Röntgen (1855-1932) presented this to the University of Edinburgh when receiving an honorary doctorate there. The composer was a good friend of Brahms, an associate of Grieg and had played for Liszt as a boy. He wrote many symphonies and concerti, and "The Edinburgh Symphony" and his doctorate resulted from a friendship with Sir Donald Francis Tovey who was an influencial Professor of Music at the University. Professor Tovey conducted the symphony's premier in 1930 and it has not been performed since, due to the score and parts being mislaid. It is hoped that the symphony will be performed again in Edinburgh. There is a website (in Dutch) about the composer at www.juliusrontgen.nl and this news item on the Edinburgh University site has three short piano extracts from the symphony. 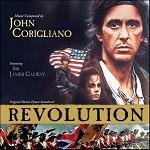 The film scores of John Corigliano most definitely stand out from the crowd. He is a classically trained composer, and more accustomed to writing Symphonies, Concertos and other works for the concert hall than film scores. However those few film scores which he has created are absolutely unique and well-worth listening to. His scores for "Altered States" and the oscar-winning "The Red Violin" have been available for some time, but the music for the 1985 film "Revolution" had been overlooked until its recent release earlier this year. The score calls upon a wide range of stylistic technique and features the virtuoso flautist James Galway, who had previously premiered the composer's Flute Concerto known as the "Pied Piper Fantasy". I came across the Swingle Singers' interpretation of Bach's Prelude No.12 from Book 2 which follows Bach's sheet music very closely. Many years later, this prelude also became the inspiration for Jem's song "They" and it is being used now on Glee. I've been listening to Abel Korzeniowski's soundtrack for the film "A Single Man" which well-deserved its Golden Globe nomination earlier this year. It has some very nice string writing and reminded me of Clint Mansell in places. The soundtrack has some additional music by Shigeru Umebayashi who also arranges 2 tracks by Bernard Herrmann - one of these being a Variation on "Scotty Tails Madeleine" from the film Vertigo. We have now added Mike Post to the composers section of mfiles. He was recently seen lending his support to calls for unionisation of composers in the US. Many congratulations to my friend Richard Greer - joint winner of the first Craig Armstrong competition. Works by Richard and the other finalists will be performed during the final concert of the Plug Festival at the Royal Scottish Academy of Music and Drama on Friday 30th April. More details of the concert can be found here and more of Richard's music can be heard at his page on MySpace. The Competition is named after the composer Craig Armstrong who comes from Glasgow. April 15th - Dave Grusin's score for The Goonies - released at last! 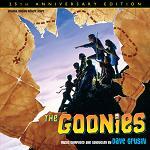 Dave Grusin's film scores are known for their relaxed jazz influences, so his score for "The Goonies" is unusual. The story about kids having an adventure with pirate treasure became a cult in children of a certain age (now very much grown up). The music score also developed a strong following with its infectious excitement based on the Swashbuckling film scores from the Golden Age of film music, yet updated for the 80s with electric guitars. The film score's fans launched a campaign for a CD release of the film's music and now that campaign has been answered by the Varese-Sarabande label. The CD release seems to be timed for the film's 25th anniversary and Dave Grusin's 75th birthday, and it is available from Amazon.com. Back from London today after a wonderful Morricone concert at the Albert Hall on Saturday evening, and just in time before they closed the Scottish airports! A write-up of the concert has now been published, and it was great to see the Maestro and hear his music played live. The improvements to the mfiles classical music section are making progress. Now all our Bach works have been completed - including improvements to the sheet music for both printing and playback. The midi files will also play back a little better, but arguably the biggest change is to the mp3 files which have been re-recorded. The Bach keyboard works have been created using the virtual pianos from East-West Quantum Leap. Check out the changes in the "Bach" and "Bach Family" sections on the Classical Sheet Music, Classical Midi and Classical Mp3 pages. The main post-production work on "Iron Man 2" seems to be finished now, ready for its theatrical release next month. You can hear examples from John Debney's action score on the official website at ironmanmovie.marvel.com. There is the possibility that the soundtrack will be released as a double album, but if that falls through you can still look forward to the "Sin City" sequels. It seems to have been around for a long time, but I've only just discovered an interesting Erik Satie website. Though hosted on a Swedish University site, it is in English and has a large collection of reference material - including copies of original Satie manuscripts with the cooperation of the Satie museum in Paris (Archives de la Fondation Erik Satie). This link has also been added to our own Erik Satie page. We have also added some interesting material to our Ilaiyaraaja page to include YouTube links related to the song "Enna Satham" from the movie "Punnagai mannan" (1986). On Easter Sunday (April 4th) BBC4 are showing a documentary film about Johnny Mercer, one of America's most prolific lyricists, famous for songs such as "Moon River" co-written with Henry Mancini. The film was broadcast in the US last year, but has been extended with additional interview footage for the UK transmission. The documentary is produced by Clint Eastwood (no stranger to song-writing himself having written for some of his most recent films). 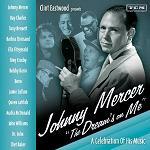 A tie-in CD has also been released called "Clint Eastwood Presents: Johnny Mercer - The Dream's On Me" which is available from Amazon.co.uk. I've been listening to Joe Hisaishi's score for "Spirited Away" today. The composer has a wide range of influences but is always entertaining. There are quite a lot of videos on YouTube with him conducting or playing the piano, and here's a great example of him playing Summer from the film "Kikujiro no natsu". Did you know that he chose his stage name based on the Japanese way of writing Quincy Jones? I'm really enjoying Danny Elfman's Alice in Wonderland at the moment. On the CD version it must surely rank alongside Edward Scissorhands, Batman and Nightmare Before Christmas, though though the "Alice" theme with boys choir lyrics only made it on to the end titles of the film. On another topic I came across a link to a video - a young Korean girl with only 4 fingers between her two hands whose skills at the piano put many of us to shame - inspiring. One of our contributors on mfiles Artur Akshelyan comes from Armenia, and he has drawn our attention to a fascinating biography of the Armenian composer Aram Khachaturian (1903-1978) on youtube. Like Shostakovich and other composers, Khachaturian composed under the oppressive soviet regime. Yet he composed some memorable music including symphonies, concerti and his popular ballets Gayane (with the energetic Sabre Dance and the slow Adagio used in the movie 2001) and Spartacus (used in The Onedin Line). There is also an online museum to the composer at www.khachaturian.am. Andrew Lloyd Webber's "Love Never Dies" has opened in London. The sequel to "Phantom of the Opera", the new musical is set 10 years later, with all the main characters now relocated to New York's Coney Island. As you might expect: there are issues to be sorted, revelations to be revealed, and tragedy to unfold amid much emotional turbulance. Apart from a couple of brief references to the original "Phantom", the music for "Love Never Dies" is all new and sees Andrew Lloyd Webber on top form. Details of the soundtrack albums are given in our updated Andrew Lloyd Webber profile. Here's a free web game called The Wizard's Apprentice which uses some classical midi tracks, used with permission from mfiles. The game needs a plug-in from YoYo Games which is easy to install, and then you use the cursor keys and the spacebar to select menu items and play the game. The YoYo Games website has many more free games to browse and play - just don't get addicted! This year marks 200 years since the birth of Frederic Chopin in 1810. A number of events are planned in celebration of the composer's work, in Poland the country of his birth and around the world. One unusual Chopin project is that an animated film is in production called "Project Chopin: The Flying Machine". The film's soundtrack consists of the composer's Etudes and the pianist Lang Lang is involved both on the screen and behind the scenes. Here is the IMDB page for the film. Click the image to enlarge. The 10th birthday of mfiles is this year! Bach's Toccata and Fugue in D minor was one of our earliest sheet music publications. Using the new features now available in Sibelius 6, we can control playback of the Toccata's inverted mordents and arpeggios. For those of a technical nature, I exported 3 tracks of midi output from Sibelius into FL Studio, where one or two note lengths were tweaked before using the Garritan Personal Orchestra 4 organ sounds to render a WAV file (32-bit floating point). Wavelab 6 was then used to apply reverb (using Altiverb 6 with the "St Joseph Church" preset) and then export an mp3 file at 128 kbps. Quite a long process but I'm sure you'll agree that the quality is much improved. I keep hearing this dramatic yet familiar music as the BBC promotes its Winter Olympics coverage with a black and white animation. A few searches on youtube have solved the music question. Here is the longer version of the BBC trailer and here is Michael Buble singing Cry Me A River. Talking about the impact of adverts and their music, this advert from a Seat Belt Campaign is so powerful it will give you goosebumps. I won't be able to attend the BBC Big Band's A Night at the Movies at London's Cadogan Hall, but I will be seeing Ennio Morricone at the Royal Albert Hall on April 10th, and I'm very much looking forward to that! I've not seen the programme but let's hope we have Ecstasy of Gold from "The Good, The Bad and The Ugly"! The composer and jazz musician Sir John Dankworth died earlier this month at the age of 82. He played saxophone and clarinet with many of the great jazz musicians and singers, formed a number of jazz groups or bands, and composed music for several films and television programmes. He was married to singer Dame Cleo Lane for 50+ years, and the pair collaborated frequently on shows, appearances, recordings and other music projects. Here is a video of a televised jazz performance and here he accompanies Cleo Laine singing Oh Lady be Good. The artist Scott von Holzen www.scottvonholzen.com has created a series of pictures inspired by music and musical notation. One of his recent creations used our arrangement of Pachelbel's Canon in D as a basis and the resulting artwork is shown alongside - click to enlarge. I did some music recently for a short corporate animation, and here it is on YouTube. It was Jerry Goldsmith's birthday this week - he would have been 81. Here is a YouTube report of him winning his Oscar for "The Omen". On a lighter note, listen to this 6-year old pianist. Uploading to YouTube - when my upload kept failing I initially blamed my Broadband connection, but when I swtiched off the progress bar on the YouTube upload screen it worked perfectly. Viewing Scorch Scores - I was having periodic problems in Firefox and today even in IE. Installing the latest versions of the Scorch Plug-In fixed this - note the browsers use different plug-in formats. Following on from the BAFTA announcement, the Oscar nominations have also been confirmed so we can now compare the full set of nominations for this year's major Film Music Awards. I've not posted any YouTube videos for a while (or the corresponding sheet music). I got a new PC and it takes some time to fully configure a new PC, install and register software, and copy folders across. The software installation and registration went well apart from the Video Editing Software from AVS4You. They simply didn't respond to registration emails. In desperation I googled the company and found out that the "lifetime" software they provide is only valid for the lifetime of your PC, but who reads license agreements in detail or expects to find such a clause buried in there? I have therefore decided to buy alternative software from a company with a better reputation (called "Power Director 8 Deluxe") - but I am posting this as a warning to anyone who might be considering AVS4You as an option. If you think of a grand piano as a work of art or a delicate instrument, then you might not want to view this, but an exploding piano stunt was put together for Jamie Cullum's video "Please Don't Stop The Music". Listen to this (and watch) on Jamie's YouTube Channel and find more info on his website at JamieCullum.com. Among a host of stars from the world of entertainment, film composers Alan Menken and Randy Newman will receive "Stars" on Hollywood Boulevard in 2010. Newman is also well-known as a Song-Writer and a new musical is due to premiere in November 2010 based on his songs. The musical is called "Harps and Angels" after his latest album. To celebrate these events songwriter Gory Bateson sings this song on youtube: What If Randy Newman Stopped Writing Songs?. It's a big week for Awards - Michael Giacchino won the Golden Globe for the Best Music Score category, and the Bafta nominations have now been announced. We need to wait until 2nd February for the Oscar nominations - so watch this space for updates! January 15th - Harold Faltermeyer (Axelf theme) is Back! Apart from reuse of his songs, Harold Faltermeyer has been all but absent from film music for the past 20 years, until Kevin Smith persuaded him to score his new film "Cop Out" due for release in February in the US. The official trailer for the movie (starring Bruce Willis and Tracy Morgan) can be seen here on IMDB and says "music by Harold Faltermeyer" among the credits. Strangely we have not until now published any reviews for any James Horner soundtracks, and he is much in the news at the moment because of his work on the stunning "Avatar". It is good to put that right with a review for his 1989 score Field of Dreams and here is a suite of music from the film on YouTube. The music of video games has always had a great impact on players, and we've always wanted to acknowledge games music and the composers who create it on mfiles. People can be even more passionate about games music than about film music - perhaps it's because you might hear the same music 100s of times. This also makes demands on the composer, who must create music which sets the right atmosphere without becoming tiring on the ear. So our first major article of 2010 is about the music of video games, and called appropriately enough 2010: A Video Game Odyssey. For current and recent new items, see Jim's Blog. For older posts, the archive pages are Jim's Blog 2017, Jim's Blog 2016, Jim's Blog 2015, Jim's Blog 2014, Jim's Blog 2013, Jim's Blog 2012, Jim's Blog 2011, Jim's Blog 2010, and Jim's Blog 2009.